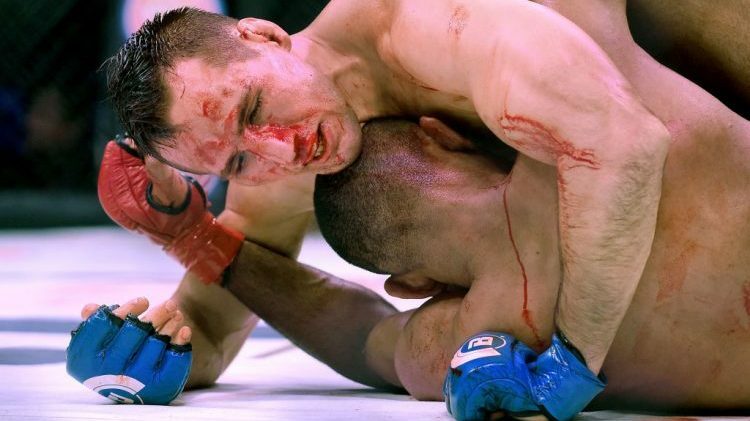 One of the most anticipated fights of the year will headline Bellator 206, as Bellator MMA middleweight champion Gegard Mousasi defends his crown against welterweight titleholder Rory MacDonald on Saturday at the SAP Center in San Jose, California. Meanwhile, archrivals Quinton Jackson and Wanderlei Silva are set to square off for a fourth time in the three-round co-main event. Mousasi finds himself on a seven-fight winning streak with momentum to spare entering the champion-versus-champion superfight. The 33-year-old last appeared at Bellator 200 on May 25, when he put away Rafael Carvalho with first-round punches to capture the middleweight championship. One of MMA’s more dynamic and devastating offensive fighters, Mousasi has delivered 37 of his 44 professional victories by knockout, technical knockout, or submission. His list of victims includes Dan Henderson, Chris Weidman, Vitor Belfort and Ronaldo Souza. Operating out of the famed Tristar Gym in Montreal, MacDonald has recorded back-to-back wins since leaving the Ultimate Fighting Championship in 2016. The Firas Zahabi protégé laid claim to the welterweight throne at Bellator 192 in January, when he took a five-round unanimous decision from Douglas Lima. MacDonald, 29, owns a stellar resume, with victories over Nate Diaz, B.J. Penn, Tyron Woodley, Demian Maia and Tarec Saffiedine. Bellator 206 “Mousasi vs. MacDonald” — which streams to DAZN at 10 p.m. ET/7 p.m. PT — also features a welterweight rematch pitting the aforementioned Lima against Andrey Koreshkov, a women’s strawweight tilt matching Keri Anne Taylor-Melendez with Dakota Zimmerman and a pair of featherweight battles, as Aaron Pico meets Leandro Higo and Gaston Bolanos faces Ysidro Gutierrez. Across the Atlantic, the Cage Warriors Fighting Championship organization returns with Cage Warriors 97 on Saturday in Cardiff, Wales. The fate of the vacant bantamweight title will be decided in the main event, as the unbeaten Jack Shore confronts Omer Cankardesler at 135 pounds. Shore has won all eight of his fights, five of them by submission. The show will stream to UFC Fight Pass at 4 p.m. ET/1 p.m. PT. For those with a thirst for regional competition closer to home, the Legacy Fighting Alliance promotion touches down in Fresno, California, with LFA 51 on Friday at Selland Arena. Sabina Mazo will put her undefeated record and women’s flyweight championship on the line against Dana White’s Tuesday Night Contender Series alum Jaimelene Nievera in the headliner. The 21-year-old Mazo trains out of the Kings MMA camp fronted by Rafael Cordeiro. AXS-TV will carry the event at 10 p.m. ET.